This entry was posted on February 20, 2012 by christinerobinsonart. 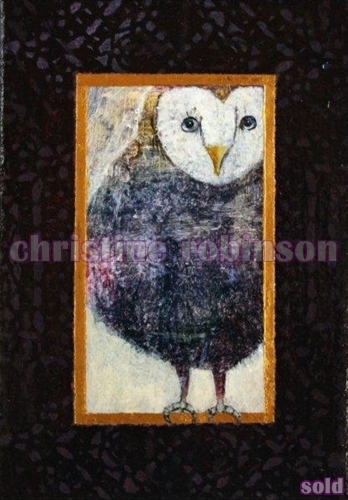 It was filed under Art, Australian Art, Christine Robinson, Feminine Art, Whimsical., Woman Artist and was tagged with artwork, bird art, mixed media, Owl Art, Owl Painting. Very nice Christine! My question is: How did you get to name it Prudence?